«Venetian Red by @annazworykinaperfumes tells a a dark story, which is intimidating in an alluring way. The fragrance is deep, complicated, and beautifully dynamic. It is, for sure, not for everyone. But if it resonates with your soul once, it stays there forever. It’s my favourite piece from Anna’s gothic collection.» — пишет художник @white.prussian про мой Venetian red. Как обычно, в Москве попробовать (и купить) все мои духи можно в Osmodeus_perfume_shop, заказать коллекцию с доставкой на ЯМ! 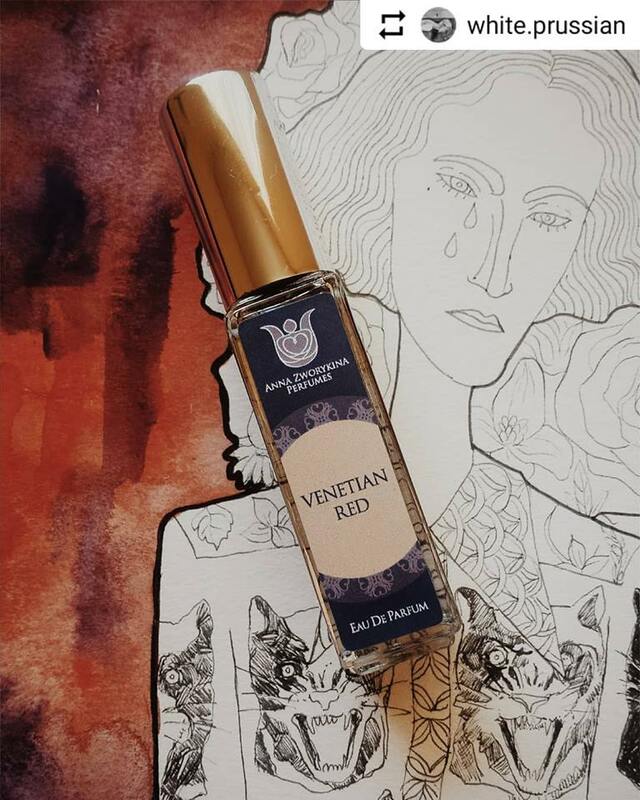 А еще Venetian red доступны в Лондоне, в Bloom Perfumery London! Так что будете в Ковент-Гарден — заходите попробовать: 4 Langley Court.